I was a very lucky girl last year and received the incredible gift of a Vitamix Professional Series 750 blender. The Vitamix is the ultimate in home blenders, and exists in a class by iteself that is lightyears ahead of blenders like the Ninja Professional. Don’t get me wrong. There is nothing wrong with the Ninja, and it peforms fairly well at a fraction of Vitamix’s price. (The Ninja Professional is about $100-$150 depending on what accessories are included with it.) For Amazon’s current price on the Vitamix, click on its photo at right. For the price difference, though, Vitamix delivers in really meaningful ways. First of all, it is an extremely well built appliance. It is heavy and substantial and the parts seem to be very well built. I have a Ninja, and although it performs satisfactorily, the parts are cheap plastic and break easily. 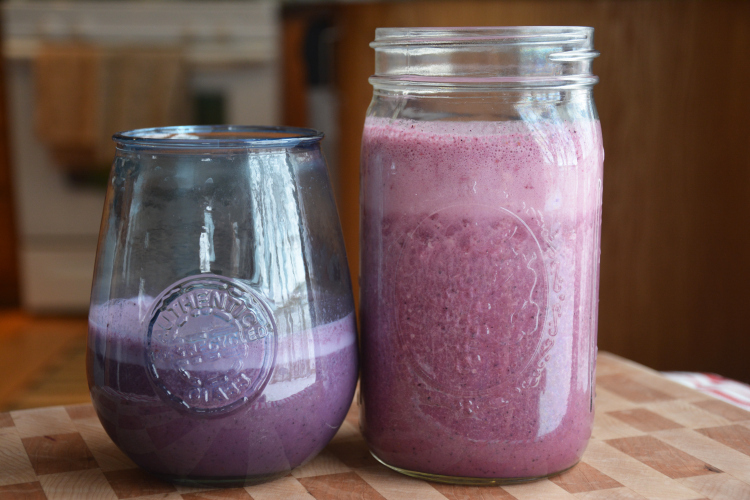 Vitamix also has significantly more power and more blending options, and these make a difference, even when you are making something as simple as a smoothie. Smoothies can be healthy, good food choices, and then can also be calorie, sugar and fat laden substitutes for milkshakes. This recipe is for the former – a healthy, delicious snack or alternative for a light meal. This recipe is also an excellent recovery drink post work-out, rich in protein and low in sugar. I like to use Natural Force Organic Whey Protein Powder, an organic, vanilla flavored, sugar free protein powder that uses whey from grass fed cows and is sweetened with stevia. Shockingly, it also tastes good! I also recommend that you use only organic fruit and vegetables in your smoothies. And while you can use any fruit, berries (strawberries, blueberries, blackberries and raspberries) are particularly low in sugar carbohydrates and good for smoothies. 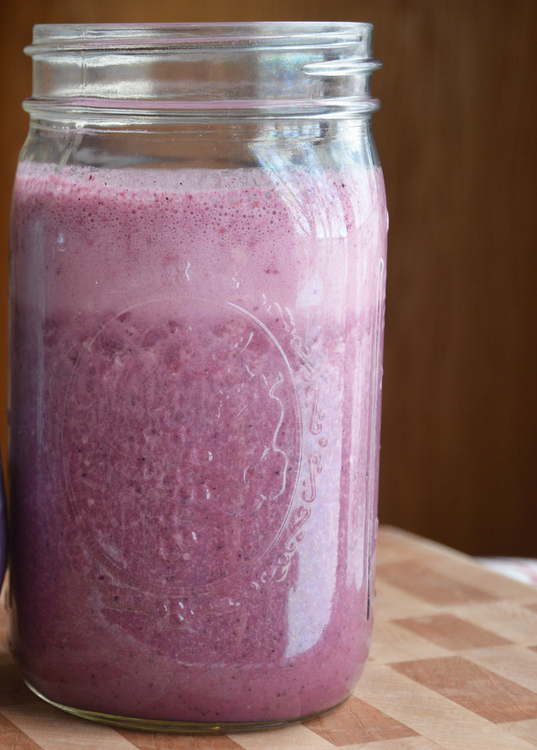 Place berries, vegetables, water and yogurt and sweetener (if using) in blender and blend on high until well blended. Add yogurt and protein powder and blend on lowest speed just until blended. Do not overmix and do not blend on high or the protein powder will make it too fluffy and foamy.